Apple on Thursday published its 2018 Environmental Responsibility Report, with an emphasis on its recent renewable energy achievements and plans to push them further. Greenpeace, however, took the opportunity to slam the company's efforts, saying it should be focusing on other issues. Above all, the company highlights its recent achievement of making all of its first-party operations — including offices, stores, and data centers — powered by clean, renewable sources. 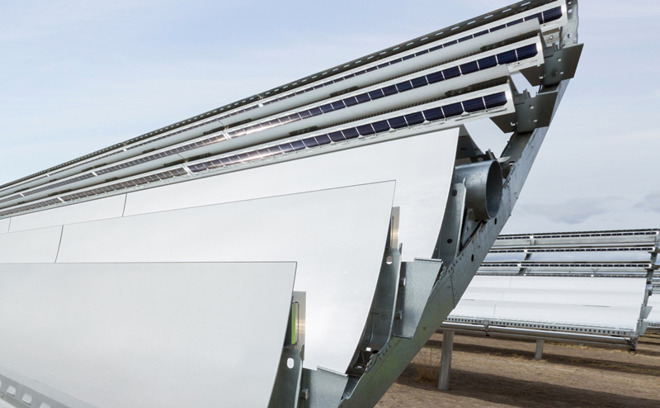 These include investments in solar and wind power, among the former being solar farms and rooftop panels lining places like Apple Park. "But this is just the beginning of how we're reducing greenhouse gas emissions that contribute to climate change," Apple writes. "We're continuing to go further than most companies in measuring our carbon footprint, including manufacturing and product use. And we're making great progress in those areas too." To push its energy efforts forward, the company is planning to "explore new markets," as well as spend on energy storage. Storage is a critical component of green energy, since solar and wind are prone to weather interruptions. The report also touts the energy efficiency of recent products, for instance claiming that the HomePod uses less energy than an LED bulb, and that the latest MacBook Pros consume 61 percent less power than even the previous generation. Packaging has been made smaller and lighter, in theory reducing the fuel needed for logistics. These benefits also boost Apple's profits, however, since it can spend less on packaging and bigger batteries. Earlier today the company introduced a new iPhone recycling robot, Daisy. In reaction to that and the Environmental Responsibility Report, activist organization Greenpeace has released a statement arguing that the company would do better to make its products easier to upgrade and repair. The demand is there, it said, pointing to the intense demand for replacement iPhone batteries. Apple in fact brags about device longevity in the report, but in recent times the company has been criticized for so tightly integrating and compacting its designs that even professional repair outfits can't upgrade them. The recent iPhone throttling controversy has spawned a multitude of lawsuits and government investigations, in some cases accusing Apple of planned obsolescence. Greenpeace did thank Apple for cutting down on greenhouse gas emissions, specifically contrasting it with Samsung Electronics, which allegedly powers operations with just one percent renewable energy. Libratone Zipp: Can this AirPlay speaker best Apple's HomePod?